Submitted 3 months 2 days ago by feeds user. 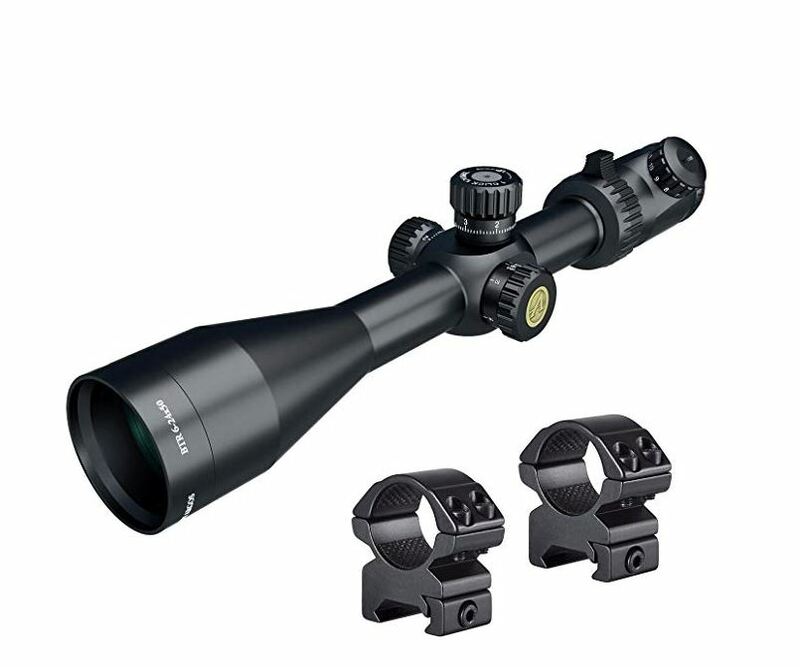 Bundle includes: Athlon Optics 6-24x50 MOA -214060 and 2 Medium Rings First focal plane reticle stays valid at all power settings allowing you to fully utilize the specially designed reticle that shrinks or grows along with your target as you zoom in or out. Advanced Fully Multi-Coated lenses gives you better light transmission to bring optimum brightness and true color across the entire light spectrum. Reticle etched on the glass that provides excellent backing support for complex reticle design and offers great durability and much higher shock resistance to recoil. The 6061T6 aircraft grade aluminum tube that has exceptional strength and superior mechanical integrity will protect these world class optics no matter what punishment you throw at it. Argon purging gives you better waterproofing and thermal stability.